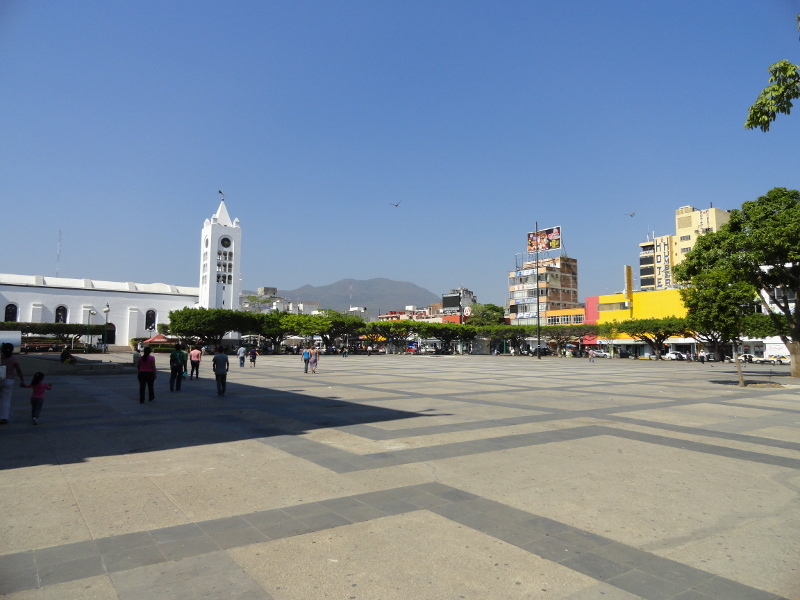 Looking across the expansive main square, La Plaza Cívica, of Tuxtla Gutiérrez. A Mexican friend of mine recently visited Chiapas and essentially had nothing positive to say about Tuxtla Gutiérrez, the largest city in – and capital of – the state of Chiapas, Mexico. I just don’t get why people hate on this place. I thought it was a worthwhile stop back in the day on my own three-week journey through this beautiful and unique part of Mexico, so I’m going to use this opportunity to talk it up a bit, especially since if you fly in to the state, your point of entry will most likely be this city of over half-a-million people. One small portion of a large street mural in Tuxtla Gutiérrez. Another small portion of a large street mural in Tuxtla Gutiérrez. Personally, when I last visited a couple of years back, I found the city to be more interesting and attractive than I was led to believe after reading a summary of the city in the Lonely Planet guide to Mexico. 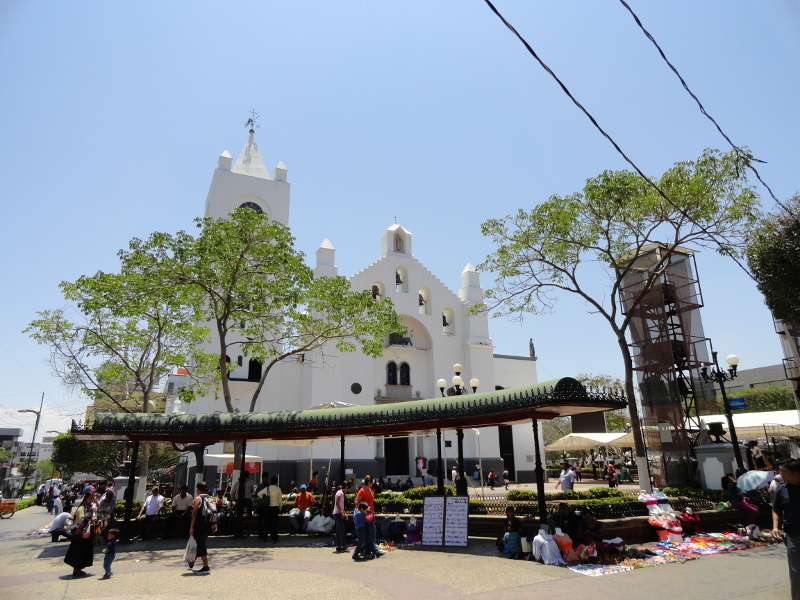 There are numerous plazas and parks to enjoy, including the gigantic principal Plaza Cívica with Tuxtla’s main cathedral, la Catedral de San Marcos, in sight; el Parque de la Marimba lined with restaurants and coffee shops (some of them serving organic coffee, including Café Biomaya) and featuring live Marimba music, dancing citizens, and crafts for sale on weekend evenings; and the Parque Bicentenario with a giant monument and extensive view of the surrounding city. 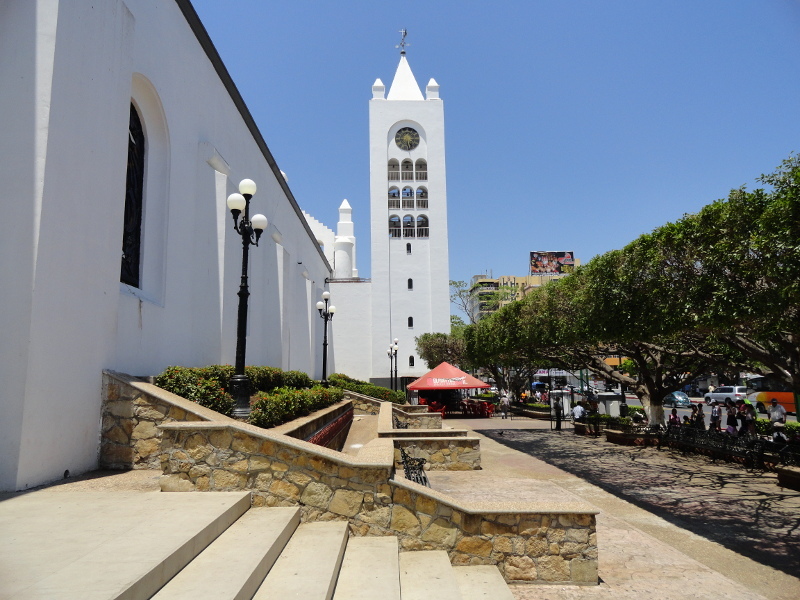 The Catedral de San Marcos (San Marcos Cathedral). 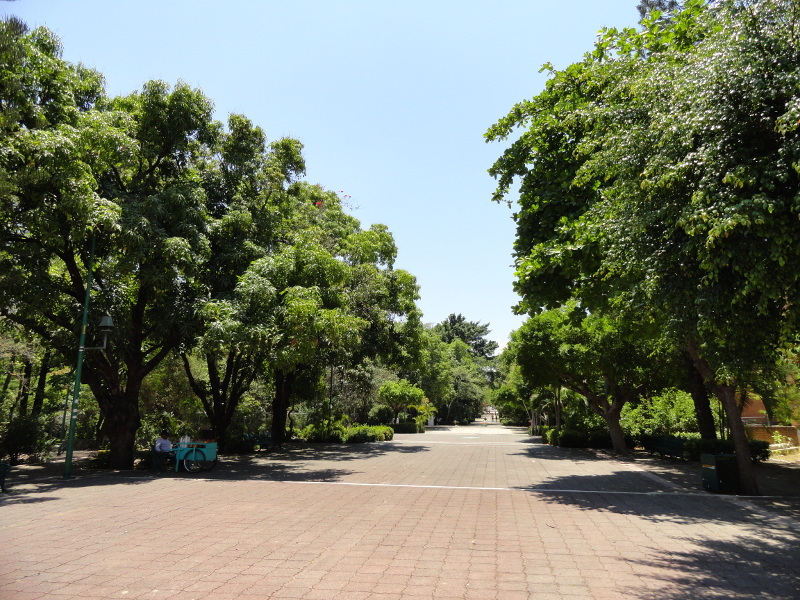 The city is also home to large botanical gardens (Dr. Faustino Miranda) that provide for a tranquil walk or sit-down conversation (there are benches scattered about inside the gardens). Even the path outside the botanical gardens, which leads to el Teatro de la Ciudad, Emiliano Rabasa, el Museo de Palentología, and a public swimming pool around the corner, is pleasant and peaceful. Across from the entrance to the botanical gardens is a building that houses orchids on display. A large promenade that leads through the part of the city outside the botanical gardens. If you need to do any clothes shopping for your trip or otherwise, the Avenida Central Poniente is your strip. You can find inexpensive mens’ and womens’ clothing in the various shops lining this street. 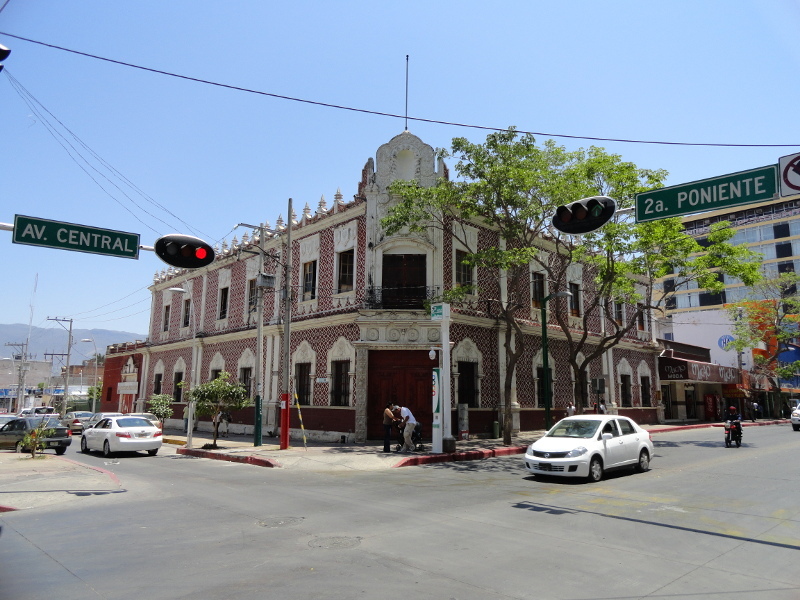 A main intersection in Tuxtla. Collectivos (smaller vans that are really a cross between bus and taxi but operate as public transportation in the place of buses) run all over the city. There is also the orange Camión Conejo, the only proper bus you’ll see, which travels the length of the city along Avenida Central Poniente. You can always take a taxi as well to get around (you’ll hear them double-tapping their horns in your direction as you walk around, all in an attempt to get your business; don’t worry, they do this to locals to, it’s not a “hey tourist!” thing), but really the city is very walkable. 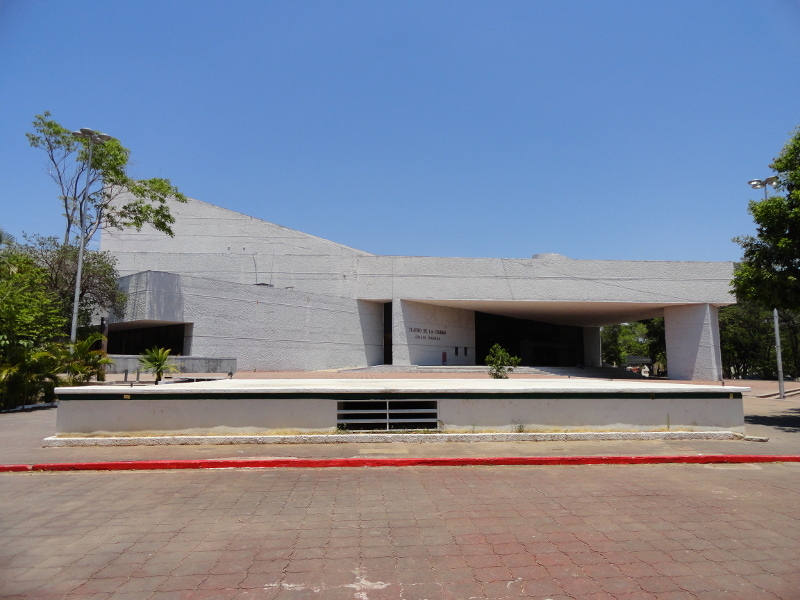 El Teatro de la Ciudad Emilio Rabasa (The Emilio Rabasa City Theater) in Tuxtla Gutiérrez. From Tuxtla Gutiérrez, you can access the impressive Cañon del Sumidero Parque Nacional (Basin Canyon National Park) and its viewpoints by car. One can even observe taxis taking folks from viewpoint to viewpoint inside the park. 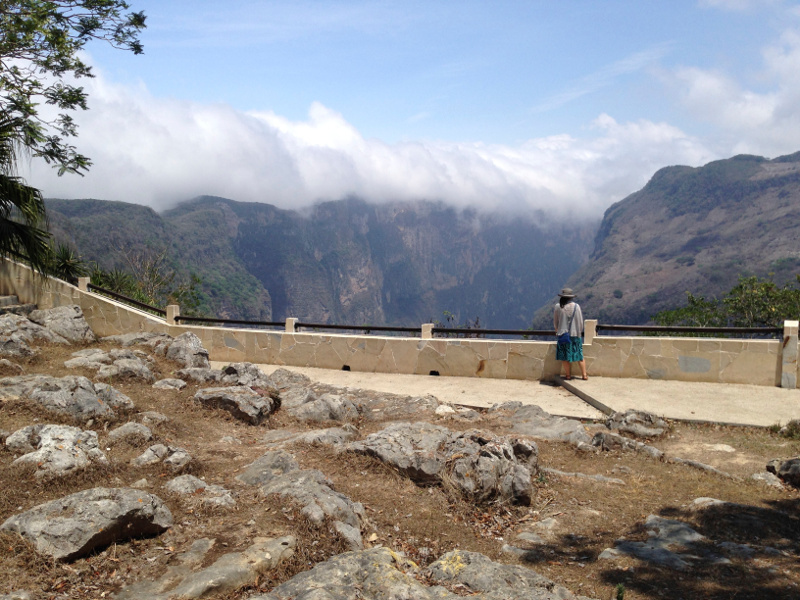 One of the viewpoints overlooking the Cañon del Sumidero (Basin Canyon) in the national park outside of Tuxtla Gutiérrez. 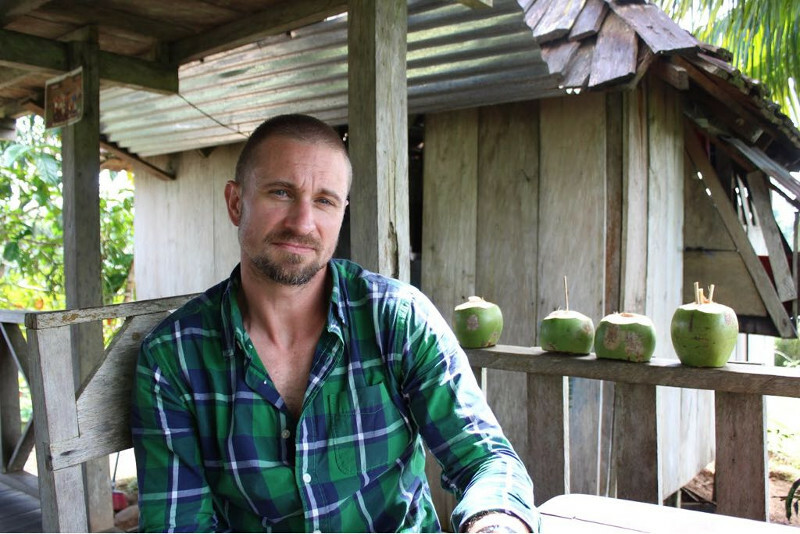 Accommodations-wise, I can recommend Hotel el Roble for those of you on a budget, and Hotel del Carmen for those of you looking for a step up without paying entirely out of your nose. Hotel el Roble is a ceiling-fan kinda place, dated, fixtures a bit loose. Hotel del Carmen is more of an air-conditioned affair, more up-to-date and put together. Booking.com usually has decent pricing on accommodations in Mexico in general and is a good place to begin your search for places in Tuxtla Gutiérrez. A different angle of Catedral de San Marcos. No, I wouldn’t put together a week-long itinerary for Tuxtla Gutiérrez, but I wouldn’t skip it altogether either. As for the street art, you can find it in an underpass in this area.